2014 ෆීෆා ලෝක කුසලාන පාපන්දු තරගාවලිය යනු 20 වන ෆීෆා ලෝක කුසලාන පාපන්දු තරගාවලිය වන අතර එහි සත්කාරකත්වය දරන්නේ බ්‍රසීලය යි. මෙම ජාත්‍යන්තර පිරිමි පාපන්දු තරගාවලිය, 2014 ජුනි මස 13 වන දින කාණ්ඩ මට්ටමෙන් ඇරඹී 2014 ජූලි මස 14 වන දින අවසන් මහා තරගය ත් සමග අවසන් වීමට නියමිත ය. 1950 වසරෙන් පසුව බ්‍රසීලය මීට සත්කාරකත්වය ලබා දෙන්නේ දෙවන වරට ය. 1978 වසරේ ආර්ජන්ටිනාවෙන් පසුව පස් වන වරට දකුණු ඇමරිකානු රටක මෙම තරගාවලිය පැවැත්විය යුතු බවට ජාත්‍යන්තර පාපන්දු සංගමය විසින් 2007 දී තීන්දු කළ පසුව බ්‍රසීලය අභියෝග විරහිත ව 2014 ෆීෆා ලෝක කුසලාන පාපන්දු තරගාවලියේ සත්කාරකත්වය සඳහා තේරී පත් විය. 2013 ඔක්තෝබර් ශ්‍රේණිගත කිරීම් වලට අනුව පහත කණ්ඩායම් 32 ලෝක කුසලාන තරගාවලිය සඳහා තෝරාගෙන ඇත. Lua දෝෂය in Module:Location_map at line 360: The name of the location map definition to use must be specified.Lua දෝෂය in Module:Location_map at line 360: The name of the location map definition to use must be specified.Lua දෝෂය in Module:Location_map at line 360: The name of the location map definition to use must be specified.Lua දෝෂය in Module:Location_map at line 360: The name of the location map definition to use must be specified.Lua දෝෂය in Module:Location_map at line 360: The name of the location map definition to use must be specified.Lua දෝෂය in Module:Location_map at line 360: The name of the location map definition to use must be specified.Lua දෝෂය in Module:Location_map at line 360: The name of the location map definition to use must be specified.Lua දෝෂය in Module:Location_map at line 360: The name of the location map definition to use must be specified.Lua දෝෂය in Module:Location_map at line 360: The name of the location map definition to use must be specified.Lua දෝෂය in Module:Location_map at line 360: The name of the location map definition to use must be specified.Lua දෝෂය in Module:Location_map at line 360: The name of the location map definition to use must be specified.Lua දෝෂය in Module:Location_map at line 360: The name of the location map definition to use must be specified. අවසාන මහා තරඟය පැවැත්වෙන මරකානා ක්‍රීඩාංගනයේ ඇතුළත දර්ශනයක්. 1 ජර්මනිය G 7 ? ? ? ? ? ? ? 2 ආර්ජන්ටිනාව F 7 ? ? ? ? ? ? ? ↑ "Pot allocations for the Preliminary Draw". FIFA.com (Fédération Internationale de Football Association). 27 July 2011. සම්ප්‍රවේශය 27 July 2011. ↑ "World Cup seeds to be based on October world ranking". Espn Fc. 4 October 2013. සම්ප්‍රවේශය 12 January 2014. ↑ 3.00 3.01 3.02 3.03 3.04 3.05 3.06 3.07 3.08 3.09 3.10 3.11 2014 FIFA World Cup Brazil Venues. FIFA.com. 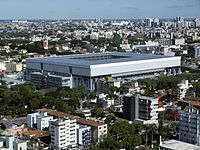 18 January 2012. http://www.fifa.com/worldcup/destination/stadiums/stadium=214/index.html. Retrieved 12 June 2014. 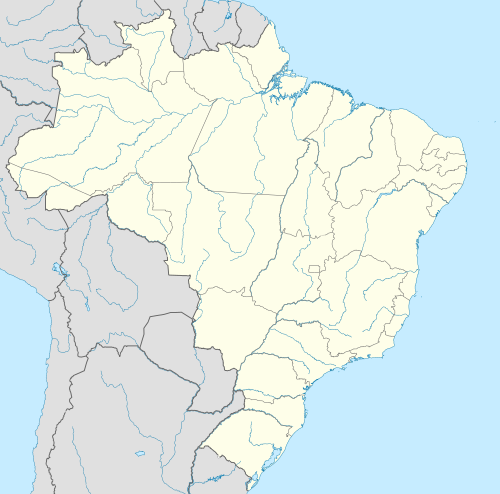 ↑ "Beira-Rio stadium re-opened". FIFA. සම්ප්‍රවේශය 13 May 2014. ↑ "MATCH SCHEDULE – 2014 FIFA World Cup Brazil" (PDF). FIFA. ↑ "Match schedule for 2014 FIFA World Cup unveiled". FIFA. 20 October 2011. ↑ "FIFA Executive Committee approves kick-off times for Brazil 2014". FIFA. 27 September 2012. ↑ "Match schedule for Brazil 2014 confirmed". FIFA. 7 December 2013. ↑ "Neymar fires Brazil to comeback victory". FIFA. සම්ප්‍රවේශය 12 June 2014. ↑ "Match report – Brazil–Croatia" (PDF). FIFA.com. 12 June 2014. සම්ප්‍රවේශය 12 June 2014. ↑ "Referee designations for matches 1-4" (PDF). fifa.com. 2014-06-10. ↑ "GER-GHA". FIFA. සම්ප්‍රවේශය 21 June 2014. උපුටාදැක්වීම් දෝෂය: "nb" නම් කණ්ඩායම සඳහා <ref> ටැග පැවතුණත්, ඊට අදාළ <references group="nb"/> ටැග සොයාගත නොහැකි විය. මේ පිටුව අන්තිමට සැකසුවේ 4 නොවැම්බර් 2015 දින දී, 08:56 වේලාවෙහිදීය.